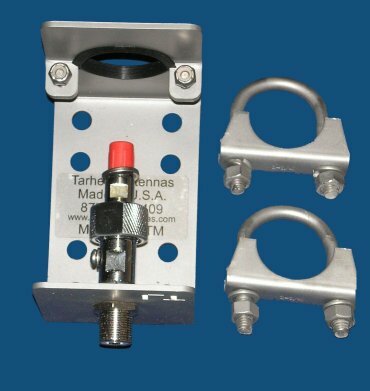 The LTMT 1 mount is made for the Little Tarheel antenna. It's made of 304 stainless steel so it's corrosion resistant and very strong. It comes already assembled with the coax stud. Even the supplied U bolts and nuts are stainless steel. This bracket will bracket up to a 1" industry standard pipe.